SMOOTH AND COOL WITH A ONE-TO-ONE FIT. 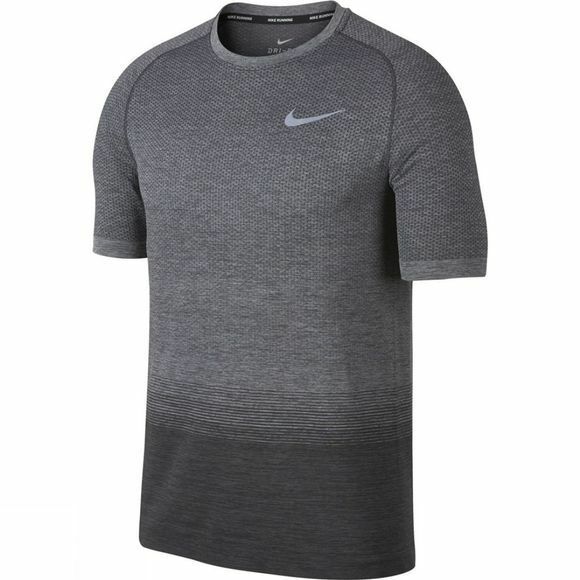 Men's Nike Dri-FIT Knit Running Top features soft, seam-free construction with curved design lines for a one-to-one fit. 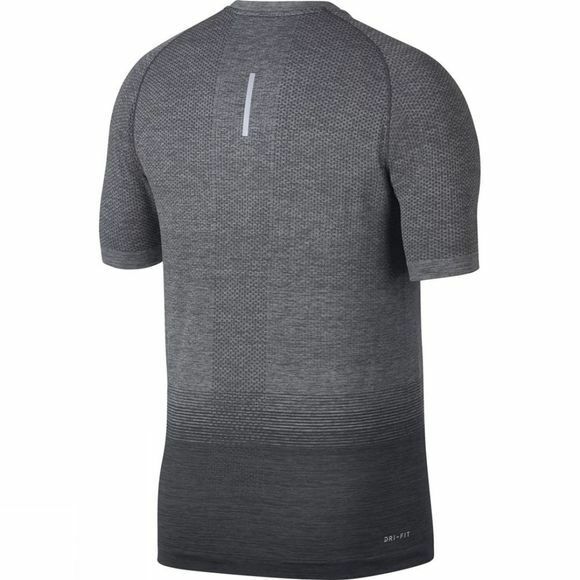 Its short sleeves and engineered panels cool you down when things heat up on the road, track or trail. Slightly curved design lines allow natural range of motion. V-neck design allows unrestricted movement.